A suicide attack on protesters in eastern Afghanistan on Tuesday killed at least 32 people, officials said, as an uptick in violence across the war-torn country dampens hopes for peace talks and elections. There were chaotic scenes at several hospitals as medical staff struggled to treat 128 people wounded by the powerful blast in Nangarhar province. Gul Majid was among scores of protesters blocking the highway between the provincial capital of Jalalabad and a major Pakistan border crossing when he "heard a big bomb". "Then I saw flesh, blood and people wounded all around me," Majid told AFP outside one of the hospitals. "I am still looking for my friends. I don't know whether they are alive or dead." Provincial health director Najibullah Kamawal and Khogyani both confirmed the latest casualty toll. The attack came hours after a double bombing in front of a girls' school in the provincial capital Jalalabad, which killed a boy and wounded four others. The first explosion happened in front of Malika Omaira girls' school at around 8:30 am (0400 GMT), Khogyani told AFP earlier. A second bomb went off as students from a neighbouring boys' school and locals gathered at the scene, he added. There has been no claim of responsibility for any of the attacks, but the Taliban and the Islamic State (IS) group are active in Nangarhar. 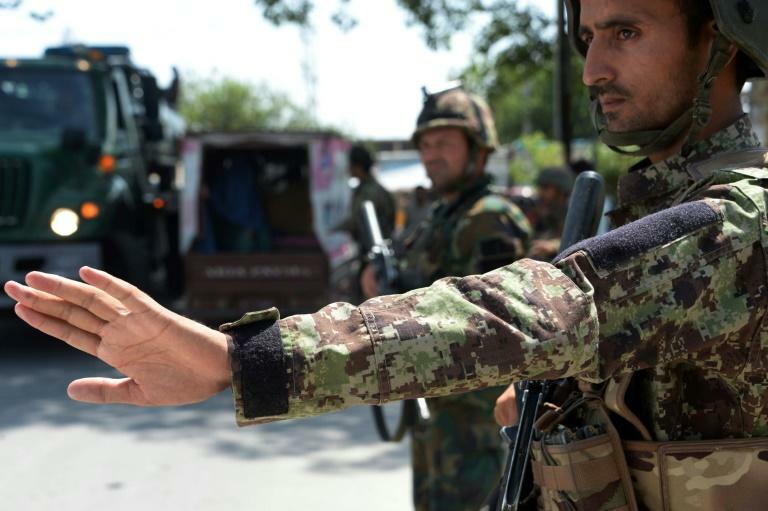 A wave of violence across Afghanistan in recent weeks has claimed the lives of hundreds of civilians and security forces, as the Taliban makes gains on the battlefield and IS launches deadly urban attacks. An unprecedented ceasefire in June followed by talks between US officials and Taliban representatives in Qatar in July raised hopes that peace negotiations could bring an end to the fighting. But newly appointed US envoy Zalmay Khalilzad has cancelled further talks with the militants until he has reviewed the American strategy, a Western official in Kabul told AFP on the condition of anonymity. The information could not be immediately confirmed. One militant source, a senior Taliban commander based in neighbouring Pakistan, had told AFP he expected more talks to be held "soon". The intensified fighting has also fuelled speculation over whether Afghanistan's long-delayed parliamentary elections will go ahead on October 20. The country's already overstretched security forces will be tasked with protecting thousands of polling stations around the country at a time when they are already struggling to beat back insurgents. Delivering ballot papers and monitoring the vote, which is seen as a test run for next year's presidential election, will be challenging, officials have warned. In the past two days Taliban fighters killed nearly 60 members of the security forces in a spate of attacks in the country's north and threatened a provincial capital for the second time in as many months. After seizing a military base in Sar-e-Pul, Taliban fighters were closing in on the provincial capital in a situation that could result in "disaster" if reinforcements were not sent, the area's police chief Abdul Qayom Baqizoy warned on Monday. Baqizoy compared the threat to the Taliban's extraordinary raid last month on the provincial capital of Ghazni -- fighters held large parts of the city located just two hours from Kabul for days. On Tuesday security forces had managed to push back Taliban fighters by a couple of kilometres, locals and officials told AFP.